Testosterone BoostersFitMax Tribu Up - 120 kaps. FitMax Tribu Up - 120 kaps. Dietary supplement containing a highly concentrated ingredients, that thanks to proper combination and the amount of influence the effective increase levels of free testosterone and inhibit the factors limiting its effect. FitMax Tribu Up - 60 kaps. 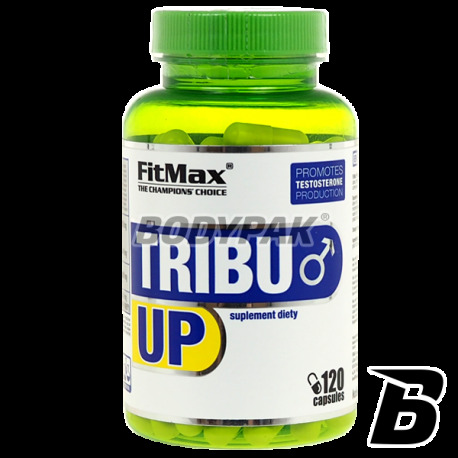 FitMax® Tribu Up - is a dietary supplement containing highly concentrated ingredients, that thanks to proper combination and the amount of influence the effective increase levels of free testosterone and inhibit the factors limiting its effect. The extract of Tribulus Terrestris - biologically active substances contained in it (mainly saponins) cause a significant increase in the level of free testosterone in the body, influence effective stimulating and strengthening activity; improve the efficiency and vitality of the body, activates anabolic processes, and increases motor activity and endurance of the body, thus enabling more efficient condition-agility-strength. The extract of Avena Sativa - also contains a lot of valuable substances that block matters restricting work of testosterone. Affected thereby increasing the level of testosterone and actively affect our body. This extract works perfectly with substances that release natural testosterone causing an ideal destination effectiveness of the supplement. In order to promote the effectiveness of the product has been enriched with vitamin B6, which intensifies assimilation of active ingredients of the supplement. 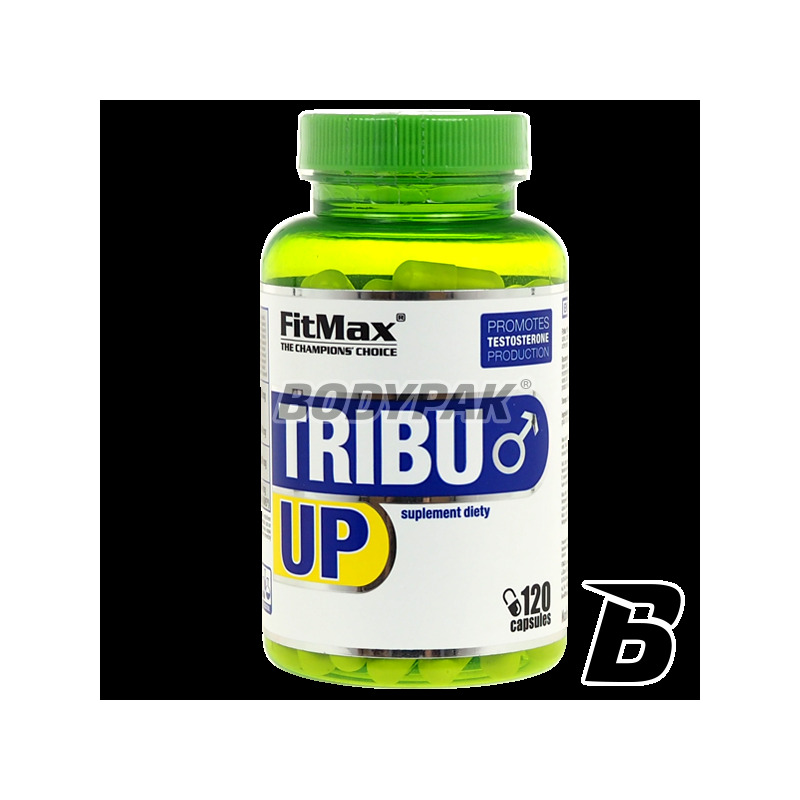 FitMax® TribuUp product is especially recommended for people practicing strength sports and active athletes shaping their physical fitness, vitality of your body and those who want to maintain a high level of sexual activity. Składniki: Tribulus terrestris (45% saponin), Avena sativa (ekstrakt z owsa zwyczajnego) 10:1, witamina B6 - chlorowodorek pirydoksyny, żelatyna - składnik kapsułki.